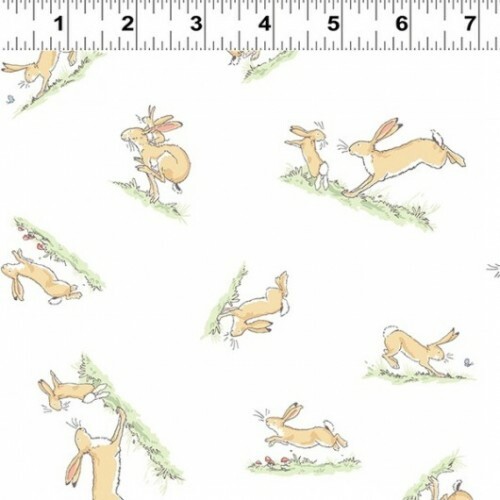 This gorgeous range features the Guess How Much I Love You Hare. It is in beautiful soft 100% cotton. Great for baby quilts, baby bags, cot sheets & pillowcases. Use it to back a baby quilt or make bibs.